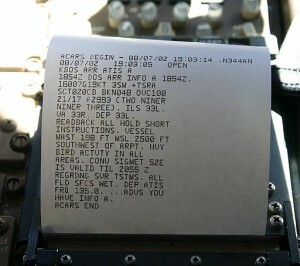 Most cockpits with ACARS have a thermal printer that is used for printing out information received. Why is this information printed out rather than displayed on a scrolling computer screen? Maybe I'm not used to ACARS or too used to 21st century technology where all messages and documents are on a screen, but it seems like the flight plan, maintenance, and weather information transmitted over ACARS could be saved and read off a screen as easily as a piece of paper. What are the advantages of having a printer in the cockpit for ACARS and other systems, and is this technology being replaced at all in modern glass cockpits?  Edit: As originally written this question didn't address other information that could be printed by advanced printers like charts and weather maps, but if you feel this is a relevant detail, you can include other systems other than ACARS in your answer. Not all cockpits with ACARS have a printer for it -- it's an entirely optional part of the system. The printer is there so that you don't have to copy by hand information that you want or need to have available. For example, ATIS is desirable to have in hard-copy, so that when you need some piece of it immediately (say, the altimeter as you're descending through the transition level, or the identifier as you go to check in with Approach), it's there without going through the levels of menus to retrieve it from the ACARS system. Also, on a Class II navigation route, if you get a significant reroute, your procedures may dictate that you have a hard-copy flight plan that shows the new route, and which you'll annotate with things like actual times & fuel onboard overhead various waypoints, actual winds, etc. That may be required by company procedures or regulation, and the hard copy is there for those times when the computer decides to misbehave. And all of THAT info is most certainly something you don't want to have to copy by hand -- it's pretty lengthy, and accuracy is really, really important. Beyond that, it is "nice to have" a hard copy of things like a PDC clearance, and it is quicker to tap "PRINT" rather than copy it all down by hand. Not the answer you're looking for? Browse other questions tagged cockpit acars or ask your own question. Why are most cockpits gray?